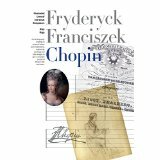 This fully revised and updated biography of one of the greatest composer of all time, Fryderyck Chopin, features countless illustrations, authoritative scholarship as well as a CD containing 16 of the most beautiful and representative compositions by this ‘poet of the Piano’. 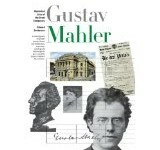 In this New Illustrated Lives Of The Great Composers, the story of one of Romanticism’s most technically gifted and harmonically perfect composers is told through a wealth of fantastic images. The story of Chopin’s prodigious childhood through to his final succumbing to years of ill health in Paris in 1849 is told through scholarly historical analysis by the author, with the brilliant aid of personal letters, recollections, paintings and other imagery. Having left Poland before the Polish Uprising of 1830, Chopin settled in Paris, composing prolifically but performing rarely in public, favouring the closer atmosphere of the salon. His compositions during this period were mostly for solo Piano, gaining the attention of contemporaries Franz Liszt and Robert Schumann. As his wider reputation declined towards the end of his troubled and tempestuous life, the now-common knowledge that he was one of Romanticism’s supreme masters, and a virtuoso of composition in general, only became apparent in the years following his death. A composer of numerous Piano works, Chopin’s compositions range from solo Piano pieces to Piano concertos. They are highly stylised compositions, both technically challenging and wonderfully melodic. The sonatas, nocturnes, études, ballades and more all combine to form a body of work that is as close to poetry as music can get. As you read about Chopin’s life and work, you can listen to 16 of these fantastic compositions to put his life into a musical context. What better way to soundtrack your reading of his life than with the man’s impeccable music? The New Illustrated Lives Of The Great Composers series has attracted acclaim from all over for their attention to detail, historical accuracy and narrative verve. The text offers the most complete exposition of Chopin’s life and music that can be found in a biography, while the music offers the reader a chance to hear exactly why Chopin’s music is praised for being of astonishing beauty.